How should Christians think about Immigration? The topic of immigration has dominated political and public conversations for quite some time now. Some of our politicians, including many presidential candidates, have placed the issue at the heart of their respective platforms. Not surprisingly, it is an issue that polarizes politicians, citizens and even fellow Christian brothers and sisters. 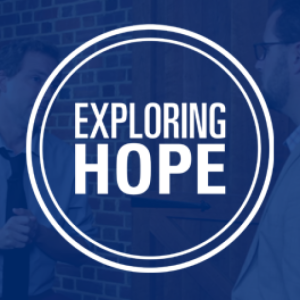 So, we have Alan Cross in the Exploring Hope studio this week to discuss some important points, statistics, and perspectives that can help believers look beyond the polarized and editorialized arguments we see on tv or hear in the workplace on a daily basis. Tune in to get some unique and factual perspectives on what kind of attitudes we should have towards immigrants and immigration!